Specialty cancer diagnostics company Precipio has announced the commercial launch of HemeScreen, a novel proprietary test for mutations in hematologic cancers. The test screens for four key genes critical to determining a patient's treatment plan, of which, an estimated 150,000 tests are conducted per year in the USA. The new test will be offered in two forms: CLIA test, offered in Precipio's laboratory in New Haven, CT; and reagents, a set of RUO reagents sold to other reference labs to perform the test in their CLIA laboratories. The new HemeScreen assay delivers results within hours (vs. industry TAT of 7-10 days), at a fraction of the cost of currently used genotyping technologies such as DNA sequencing and Taqman SNP genotyping. The assay tests for mutations in the CALR, JAK2, JAK2 exon 12, and MPL genes. These genes are critically important to developing the clinical roadmap for the patient; however, the majority of patients do not present any of these mutations, with less than 20% of patient samples returning a positive result. For these markers, if the result is negative, no additional testing is required and results are reported immediately. If the assay identifies a mutation, the lab reverts to the original process, with additional testing via NGS or Taqman SNP genotyping to identify the specific mutation within that gene. One of the key benefits to this test is the cost. The current cost of test reagents for all four genes in a CLIA laboratory is approximately US$300, and these tests are typically reimbursed at around US$600. HemeScreen assay will cost around US$100 to run, less than 33% of the cost of the four genes combined. Furthermore, as these genes are mutually exclusive, they are typically tested in a reflex manner (meaning the first gene is tested, if positive the testing stops, if negative it continues to the next one etc.). This is both costly and time consuming, with laboratories typically taking 7-10 days to report results for these tests. The new solution will enable reporting of negative results (80% of cases) within approximately 4-6 hours, enabling a same-day total turnaround time. 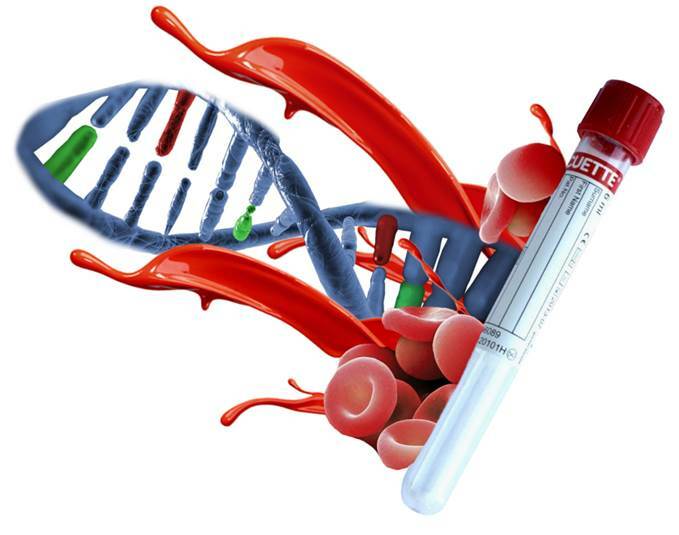 The genes screened are relevant to the patient's diagnostic assessment and they may impact treatment for patients with myeloproliferative and myelodysplastic (MDS) malignancies or cancers. In the USA there are approximately 300,000 patients with these diseases, with about 40,000 new patients diagnosed each year. The NCCN guidelines require that every patient diagnosed with one of these cancers be tested for the genes offered in the new panel. Identifying a positive mutation for a patient means they can be accurately diagnosed with the specific neoplasm, as well as placed on the appropriate therapy, some of which are targeted. For example, patients with a JAK2 mutation are placed on a JAK2 inhibitor such as Jakafi, which can be critical to the patient's successful battle with their disease. The HemeScreen test uses the same HRM (high resolution melt) technology applied to Ice Cold-PCR (ICP), the company's mutant enrichment technology for liquid biopsy, as was previously announced earlier this year.